There are six changes to the DHL Western Province U19 team to face Leopards U19 in Potchefstroom on Saturday. 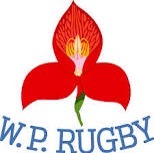 Following their comfortable win against EP Elephants U19 at Boland Landbou near Paarl last week, DHL Western Province U19 coach Nazeem Adams has made four changes in the forwards and two among the backs for the encounter, which kicks off at 11h00 at the Fanie du Toit Sportsgrounds on Saturday. In the backline wing Christian Ambadiang and outside centre David Kriel are back in the starting line-up, with scrumhalf Lucky Dlepu, flyhalf Chris Schreuder and outside back Aydon Topley on the replacements bench. In the forward pack flank Marcel Theunissen, lock Herman le Roux and props Hugo Pienaar and Dian Bleuler all make their return for the trip to Potchefstroom. Adams said that his team is determined to show that they can perform away from home in Potchefstroom. “It is always tough travelling up to Potchefstroom, so this will be a good opportunity to show our character under pressure. “It has been a good week of training and the players are looking forward to showing what they are capable of as a unit,” he said. 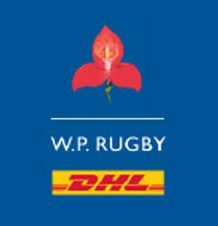 DHL Western Province U19: 15 Quan Eyman, 14 Christian Ambadiang, 13 David Kriel, 12 Waqar Solaan, 11 Angelo Davids, 10 David Coetzer, 9 Gerado Jaars, 8 Francke Horn (captain), 7 Marcel Theunissen, 6 Henro Meyer, 5 Herman le Roux, 4 Ian Kitwanga, 3 Hugo Pienaar, 2 Chris Rossouw, 1 Dian Bleuler. Replacements: 16 Ru-Hann Greyling, 17 Alexander Mbete, 18 Joshua du Preez, 19 Ross Taylor, 20 Bevan Prinsloo, 21 Lucky Dlepu, 22 Christopher Schreuder, 23 Aydon Topley.